Man United star Paul Pogba seems to have his mojo back under Ole Gunnar Solskjaer if his recent performances are anything to go by. The Frenchman, who struggled in the first part of the season under Jose Mourinho, has been in fine form ever since the 55-year-old was replaced with Solskjaer earlier this month, and this stat more than proves that. As per Opta, Pogba became the first player to score 2+ goals in consecutive Premier League games for United since Wayne Rooney back in 2012 following his second goal against Bournemouth on Sunday evening. 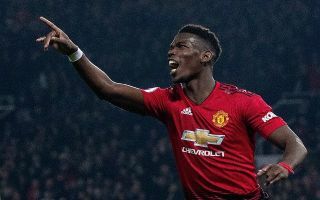 Having also scored two against Huddersfield in United’s previous fixture, Pogba has become the first Red Devils player in six years to accomplish the feat of scoring consecutive braces in Premier League games, something that is simply down to new boss Solskjaer. United have looked a completely different side ever since the Norwegian was introduced as manager following Mourinho’s departure. The club have scored 11 goals in the 45-year-old’s first two and a half games in charge, and they don’t look like slowing down if their first half display against Bournemouth is anything to go off. And who knows, if Pogba keeps getting into dangerous positions in the second half against the Cherries, he may just be able to get his first ever hat-trick for the club with a bit of luck!